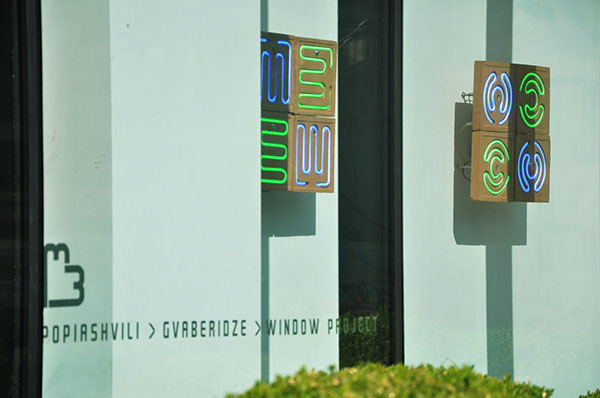 Neon heater was exhibited by Popiashvili Gvaberidze Window Project at Café Iveria on Republic Square (Tbilisi, Georgia) during the period of July 21 – November 1, 2014. 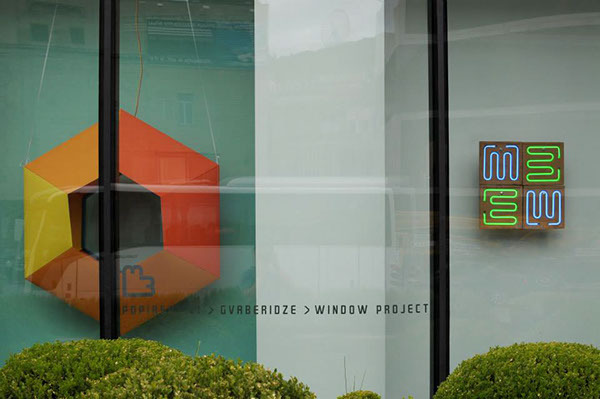 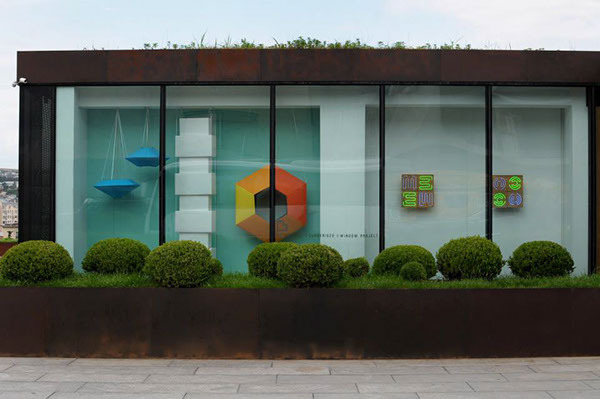 Popiashvili Gvaberidze Window Project introduces new artists and promotes public art projects in Tbilisi. 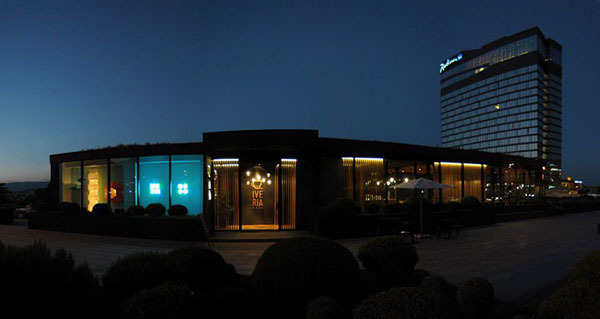 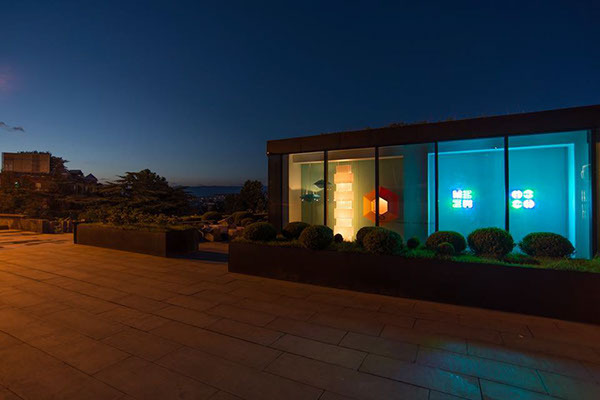 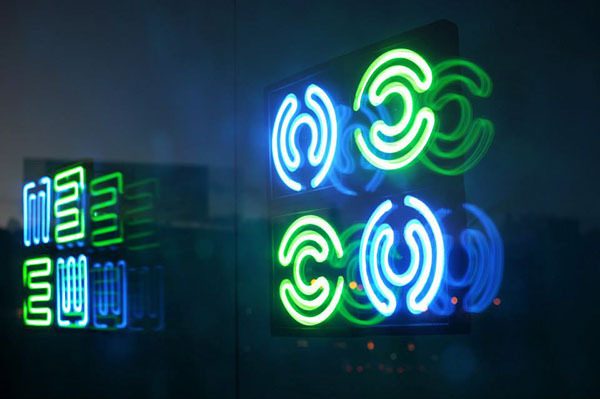 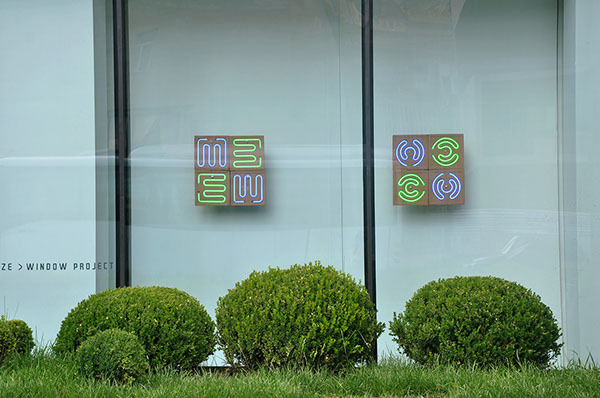 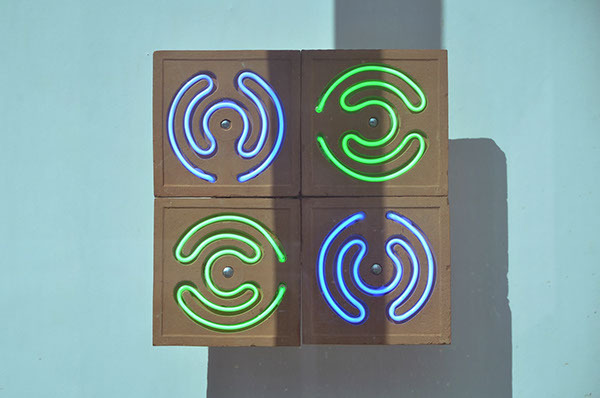 In the inaugural show at Café Iveria Giorgi Magradze’s Neon Heater was exhibited together with Tbilisi based artist collective Samotkhi’s installation titled Iveria. 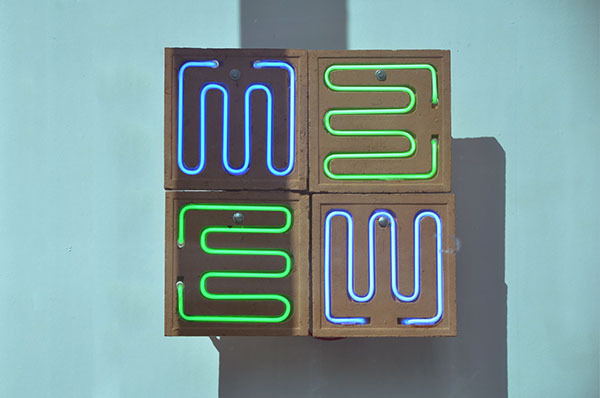 Both use light art as a medium for their presentations.